Certified. 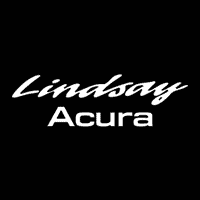 FWD Crystal Black Pearl 2018 Acura RDX 6-Speed Automatic 3.5L V6 SOHC i-VTEC 24V 20/28 City/Highway MPG Acura Certified Pre-Owned Details: * Limited Warranty: 12 Month/12,000 Mile (whichever comes first) after new car warranty expires or from certified purchase date * Transferable Warranty * Includes Trip Interruption and Concierge Services * Warranty Deductible: $0 * 182 Point Inspection * Powertrain Limited Warranty: 84 Month/100,000 Mile (whichever comes first) from original in-service date * Roadside Assistance * Vehicle History Some used vehicles may be subject to unrepaired recalls for safety issues. You may check for open safety recalls by entering the VIN at https://vinrcl.safercar.gov/vin. New vehicle pricing includes all offers and incentives. Tax, Title and Tags not included in vehicle prices shown and must be paid by the purchaser. While great effort is made to ensure the accuracy of the information on this site, errors do occur so please verify information with a customer service rep. This is easily done by calling us at 800-980-8199 or by visiting us at the dealership.